Fifth Word Theatre | Guest Judges Announced for Fifth Word’s Most Promising Playwright Award! On the 15th April we launched our brand new Playwriting Award for Most Promising Playwright. Now submissions have closed we can reveal that we have received 102 entries! So as the hard work finishes for the playwrights who entered, it now begins in earnest for us to find our winners and runners up! Joint Artistic Directors of Fifth Word Laura Ford and Angharad Jones developed the Fifth Word Award in order to find the most talented upcoming playwrights from across the region. In order to help us with this task we have rounded up some of our most trusted peers and colleagues to join us in reading the submissions and I’m thrilled to announce our guest judging panel here. Our process involves 3 rounds of reading and a different panel of guest readers on each round. Joining us for Round one are Gareth Morgan and Tilly Branson. Gareth is a dramaturg and fellow Associate Artist (scripts) at Nottingham Playhouse, helping writers grapple with their ideas through running regular Nottingham night Write club. 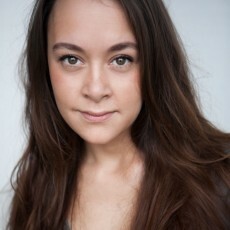 Tilly Branson is a theatre maker and director with a particular interest in women in theatre. Her Directing includes shows for the Park Theatre, London, The Mercury Theatre. Colchester and New Perspectives. Esther is a seasoned dramaturg and worked as Associate for Soho Theatre and Assistant Dramaturg for the Royal Shakespeare Company as well as being previous Artistic director of Theatre Writing Partnership. She has a wealth of directing credits including directing for Soho Theatre, London, Tamasha Theatre, Royal and Derngate, Northampton, Nottingham Playhouse and Bolton Octagon. Steve Harper is the Literary Manager of Theatre503 and has been at the forefront of developing writing opportunities at this hotbed of new writing including Cultivating The 503five and Rapid Response. Steve has worked in various capacities for Paines Plough, the National Theatre, the Young Vic. Directing credits include ‘For Once I Was’ by Jon Cooper at Tristan Bates Theatre, the London Premiere of Edward Bond’s ‘Have I None’. Our third and final Judging = panel comprises of Giles Croft, Fiona Buffini and Amanda Whittington. Giles Croft is Artistic director of Nottingham Playhouse and during his 15 years there has nurtured new plays and regional playwrights form the outset. Under Giles’ guidance The Playhouse continues to make work that's ambitious and challenging. Recent directing credits at the playhouse include Forever Young, The Kite Runner and Arcadia. Amanda Whittington is a playwright living and working in Nottingham and has been described as Britain's 'most consistently popular female dramatist' (The Guardian'). Her plays include ‘Be My Baby’, originally produced by Soho Theatre, Ladies Day and its sequel ‘Ladies Down Under’ (Hull Truck/UK Tours), The thrill of Love (St. James Theatre) and Amateur Girl (Hull Truck, Fifth Word) to name but a few!